HOUSTON (KTRK) -- Families turned out in droves as LULAC District VIII presented the 24rd Annual Cinco de Mayo Parade in downtown Houston Saturday morning. The parade started across from Minute Maid Park, and featured marching bands, car clubs, floats, local celebrities and elected officials. This year's Grand Marshal was HISD Superintendent Richard Carranza and the Honorary Grand Marshal was Disney's Princess Elena of Avalor. Princess Elena spoke with Eyewitness News weekend anchor Mayra Moreno about what Avalor is really like. 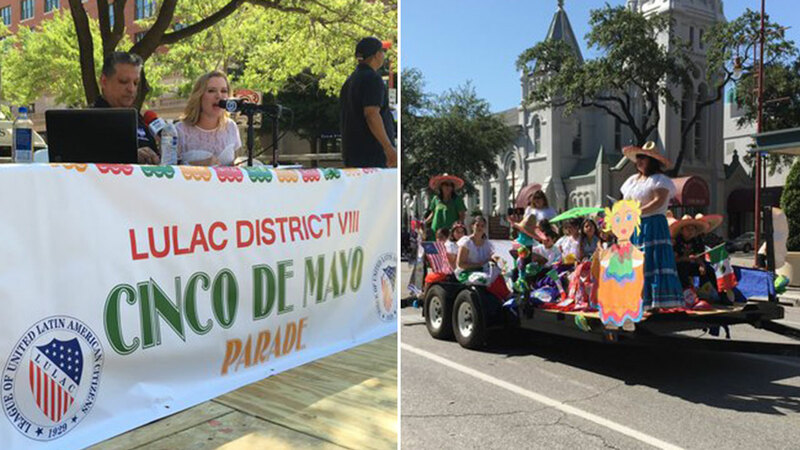 The Cinco de Mayo Parade is a family fun-filled event in celebration of our rich culture in the greater Houston area and in commemoration of the date the Mexican Army's unlikely victory over French forces at the Battle of Puebla on May 5, 1862, under the leadership of General Ignacio Zaragoza. Acompáñenos el sábado, 6 de mayo, a las 10 de la mañana, en el centro de Houston, para disfrutar juntos del colorido desfile anual del Cinco de Mayo, presentado por LULAC. El desfile iniciará frente al Parque Minute Maid y recorrerá las calles de Texas, Caroline y Preston. Este año nuestro Gran Marshal será el Superintendente Richard Carranza de HISD y nuestro Gran Marshal Honorario será la Princesa Elena de Avalor de Disney. Princess Elena of Avalor explains what she loves about Cinco de Mayo with ABC13's Mayra Moreno. The Mission of the League of United Latin American Citizens (LULAC) is to advance the economic condition, educational attainment, political influence, housing, health and civil rights of the Hispanic population of the United States. For more information, visit www.lulacd8.org. Enjoy the sights, sounds and bold colors of the 2016 Cinco de Mayo Parade in Downtown Houston.